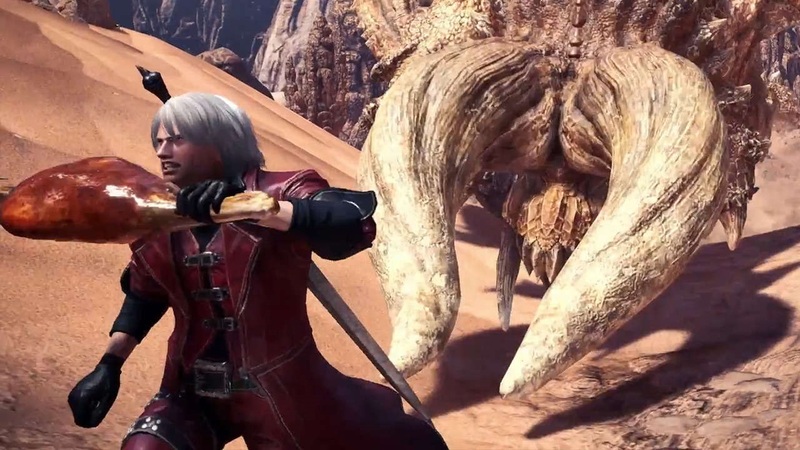 Devil May Cry's Dante is now available in Monster Hunter: World via a special event quest. Dubbed "Code Red," the quest will grant you the ability to dress your character up as the stylish slayer upon completion. You'll also unlock Dante's signature sword, which takes the form of a charge blade. The event can be found at the arena and carries an eight star rating. You'll need to be hunter rank 14 to try it, though that doesn't take too long to get to. The objective is to simply hunt all target monsters, so even that won't require you to jump through weird hoops to get the armor. Capcom has also released the schedule for future events along with a short clip of Dante doing a pose. This should help get you suitably hyped for the future of World.